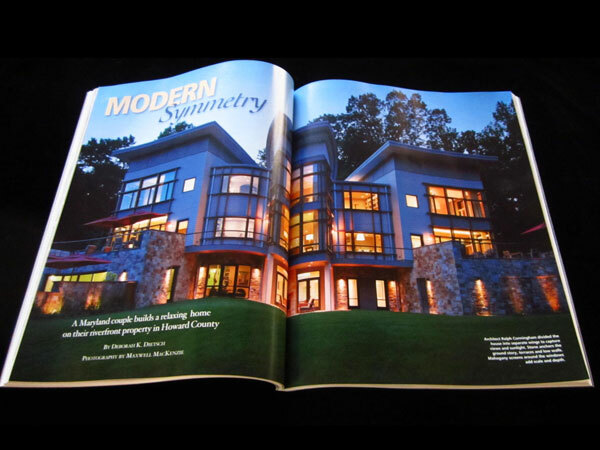 Cunningham | Quill’s Middle Patuxent Residence is featured in the current issue of Home and Design Magazine. 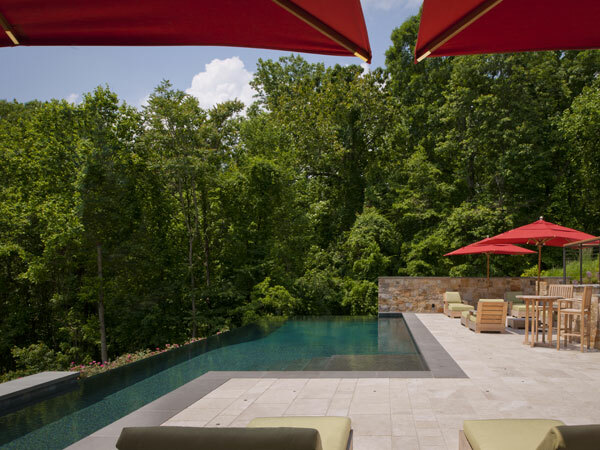 Writer Deborah Dietsch sat down with the homeowners for an in-depth look at this Howard County retreat. 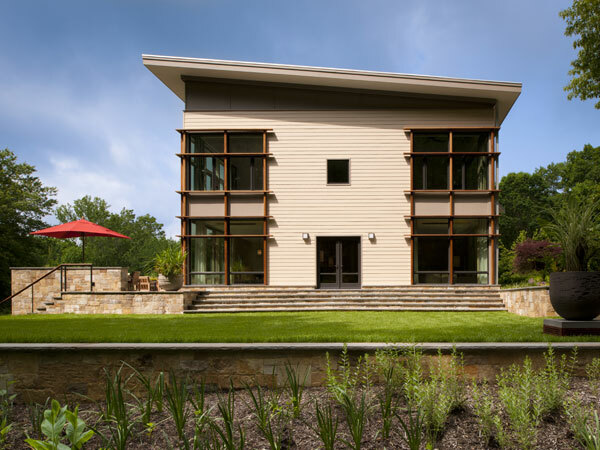 Founding principal Ralph Cunningham and Landscape Architect Kevin Campion were on hand to reveal how they brought the homeowners’ vision to life. 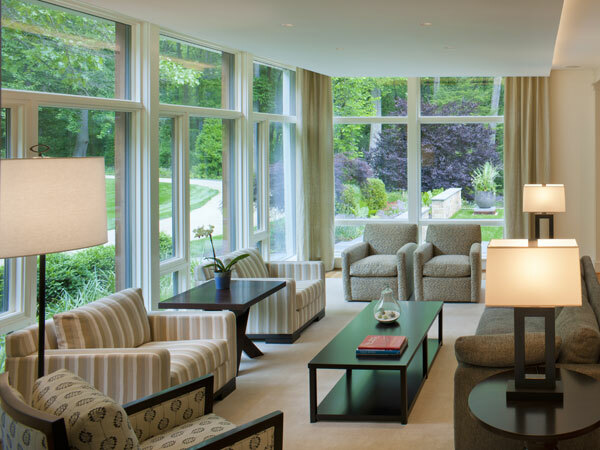 With photography by Maxwell MacKenzie, Ms. Dietsch eloquently describes each space and the strong architect-client relationship that was vital to the success of this project. 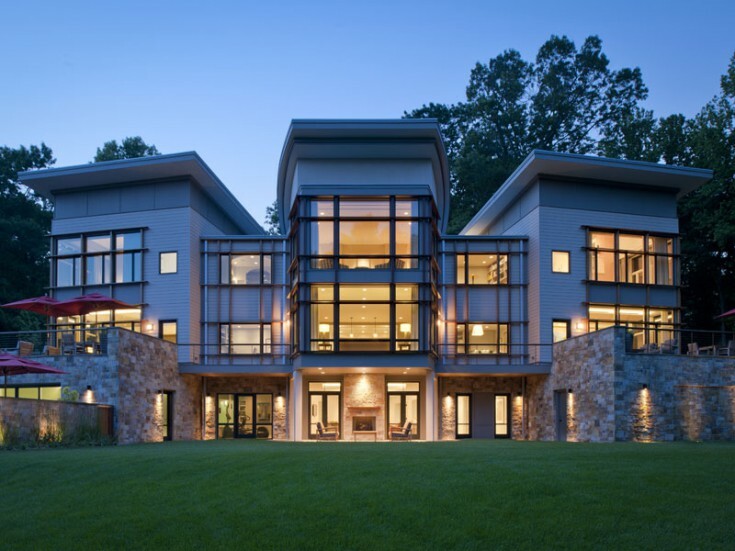 Located on a wooded hillside overlooking the Middle Patuxent River, the house engages its surroundings by taking advantage of the 360o view and careful placement to connect interior spaces with the landscape. The challenge was to design a house that serves the multiple purposes of day-to-day living, entertaining, and multiple family generations. The result is a plan organized around a central open kitchen-family room space and is flanked by two wings that delineate the family and formal areas. Upstairs, a central master suite is separated from wings for children and guests by stair and elevator spaces. This allows for independent access to the bedroom level for family members and guests of all ages. A walk-out basement contains entertainment and exercise spaces and connects to the private backyard and pool. The house employs several energy efficient systems including geothermal heating and cooling, high-performance insulation, as well as energy star windows and appliances.